I used to turn my nose up at any sort of alternative medicine or therapy, but I have become much more open minded over the years. Several years ago my wife started using essential oils. I was skeptical at first, but I have to admit I have really warmed up to them and actually been quite impressed in some cases. 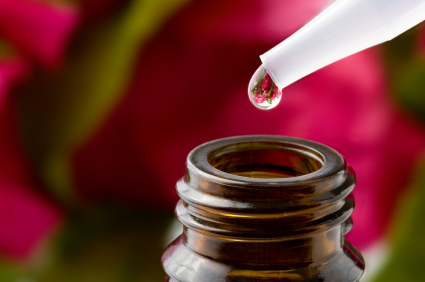 It is important to understand that essential oils are not a magical potion or secret elixir. They are oils which have been extracted from plants, leafs, or roots. They are then concentrated so the beneficial properties of those substances can be used for human benefit. Essentials oils can be taken internally by putting a few drops in a capsule, applied topically to the skin, or diffused into the air and inhaled. Geranium- stops bleeding and bruising. Peppermint- reduces fever, nausea, and treats headaches. Lavender- used for burns, cuts, as an antihistamine, and as a stress reducer. Ginger- Indigestion and nausea control. There are also different combination or blends of oils that are used for joint and muscle pain, to fight infections and airborne pathogens, mood enhancement and aromatherapy, etc. Different companies that manufacture these oils use different names for these blends. With oils becoming more popular over the years, it is a wise idea to find a brand that is reputable and that produces a good quality product. If you are going to invest the money into using them, then I suggest find a reputable company that guarantees high quality products. I only use oils that are certified pure therapeutic grade quality. As much as I like essential oils, I still don't consider them to be the "end all" product for health car like some enthusiasts may tout. I believe they can be part of a balanced approach to health which would also include exercise, good nutrition, getting proper rest, stress control, prevention, etc. However, I think they can be a natural, safe, and effective alternative for an over-medicated society. I take essential oils internally and see wonderful results. I also use them topically and smell them. I also agree that you need a balanced approach to essential oils. You need to lead a healthy lifestyle as well. I am in school to become an aroma therapist and am impressed at what these oils can do! Want to learn more? Check out my blog!